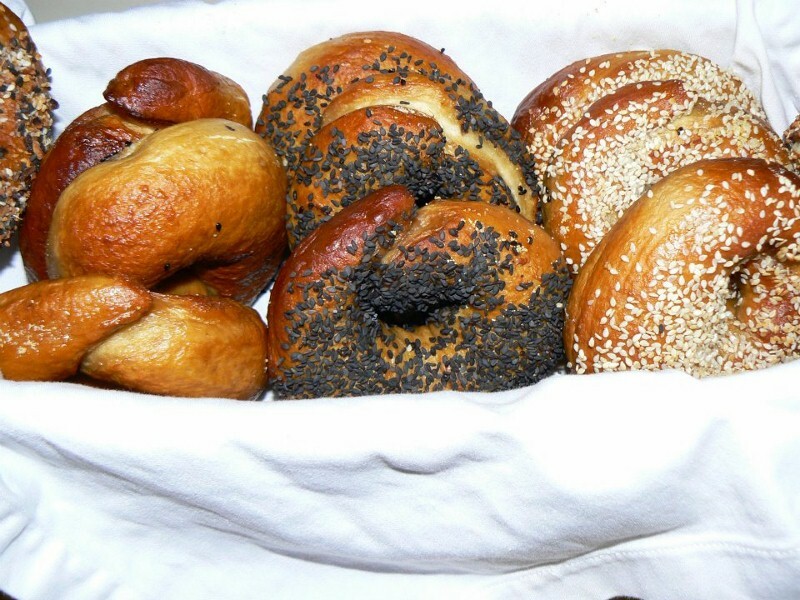 I make bagels frequently using a variation of "The Bread Baker's Apprentice" recipe found @ http://www.thefreshloaf.com/recipes/bagels. 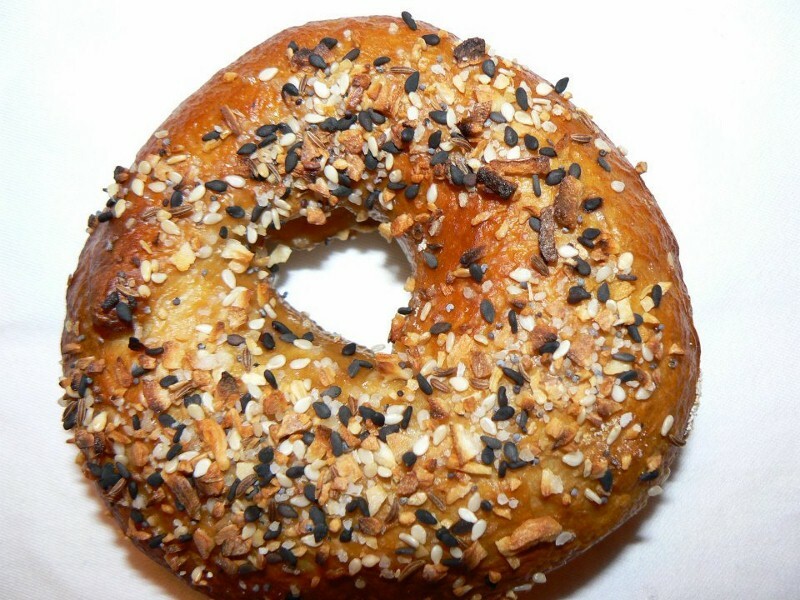 My changes amount to retarding in bowl (vs. shaped) and shaping in the morning, and adding lye to the boiling water (great overview of Lye Bagels @ http://www.thefreshloaf.com/node/10877/lye-bagels). So in short - I am learning a lot on here! Anyhow - here are a few pictures of my last batch. I am liking the brown against the white. pretzel rolls and also pretzel bagels. Nice work! What concentration lye are you using? They look good, can almost smell them, I bet they have a nice chew. Yesterday I had a bagel at a coffee shop, it was shaped like a bagel but had the texture of a soft bun, a real disappointment. I could not convince my husband to let me buy lye at Home Depot, so I had to sneak in an order at Amazon and paid twice the cost in shipping. 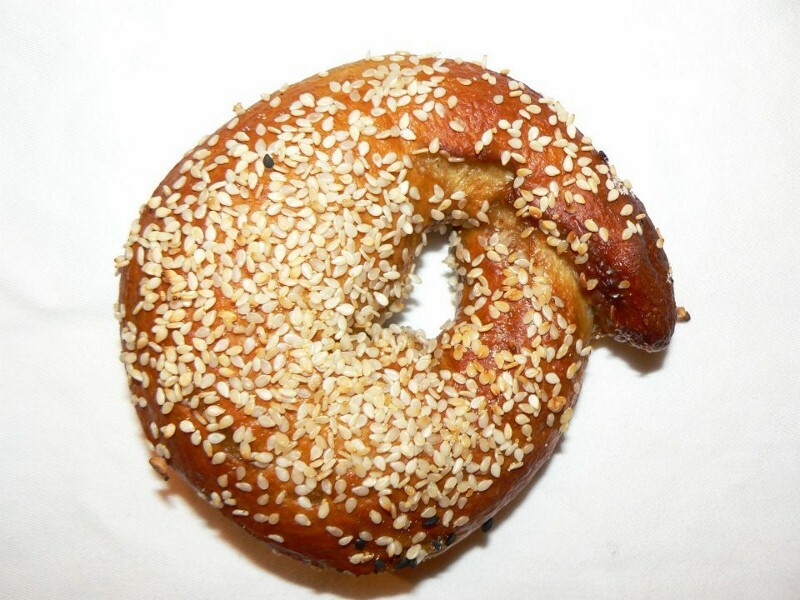 I have made bagels a few times using different recipes and have had OK results. During the big snow storm in NJ I had to stay at a friend's house. I had the Nov issue of Cooking Light which had a recipe for 'Real Bagels'. I decided to make it in my friend's kitchen, kneading by hand, baking without a stone on a baking sheet and the bagels came out the best I have made. So the day afterni was able to return home, I decided to make the same recipe in my kitchen aid and finally decided to use lye in the water, hoping to make my best bagels yet. The bagels were chewy but soft. So the next time I changed the flour from the 50 lb bulk flour I had purchased to KA bread flour but used the the lye water again. Again the result was soft and chewy bagels, didnt get a crisp, shiny exterior. Can lye users please tell me their results. I just got my copy of ITJB and hope to try the bagels soon but as I glance at the recipe, no lye is used. I am having good results with lye. Mine are crispy and shiny when pulled out of the oven. They soften up when cooled (chewy & moist interior assures this) but the crisp comes right back in the toaster.